I have this theory…that many gardeners try to recreate childhood through their gardens; I try to recreate being at my grandmother’s house, Nanny’s house. 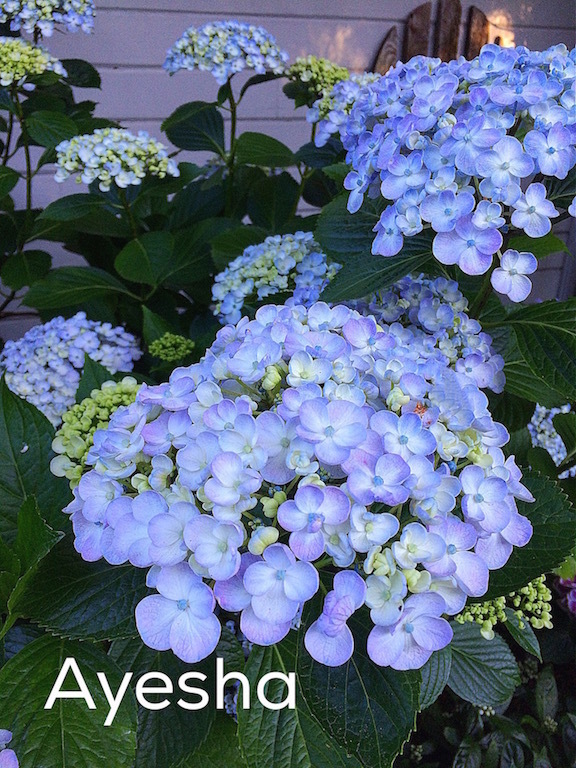 I don’t think most people think Hydrangeas have a fragrance but they do. I will always have Hydrangeas because the smell reminds me that I hid under the Hydrangea bushes when my cousins and I played hide n’seek in the summertime. Nanny had a section of her yard in worn white tall pickets. I love white picket fences especially with sweet peas. 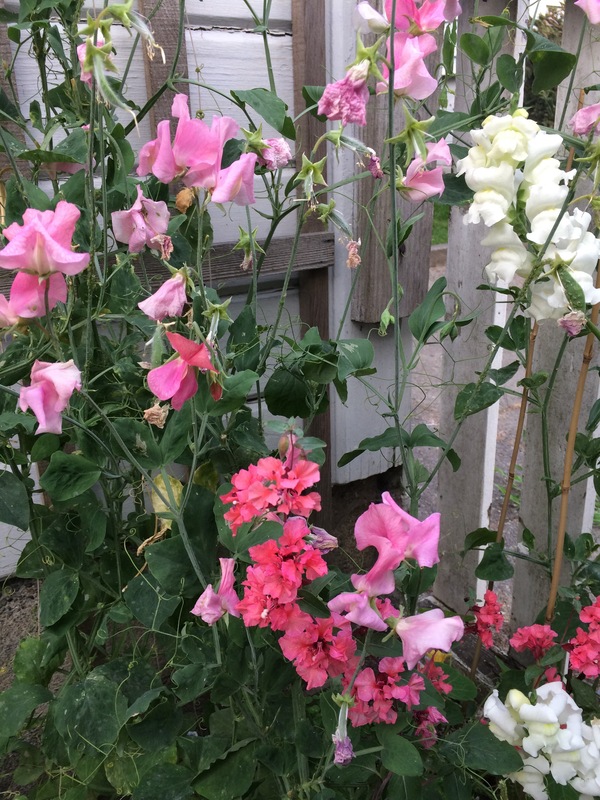 This is the first year I have had success with the ‘easy to grow’ sweet peas and I have a small section of picket fence between my neighbors’ garage and ours. I have taken it over. Since Nanny was a florist she used lilies a lot. 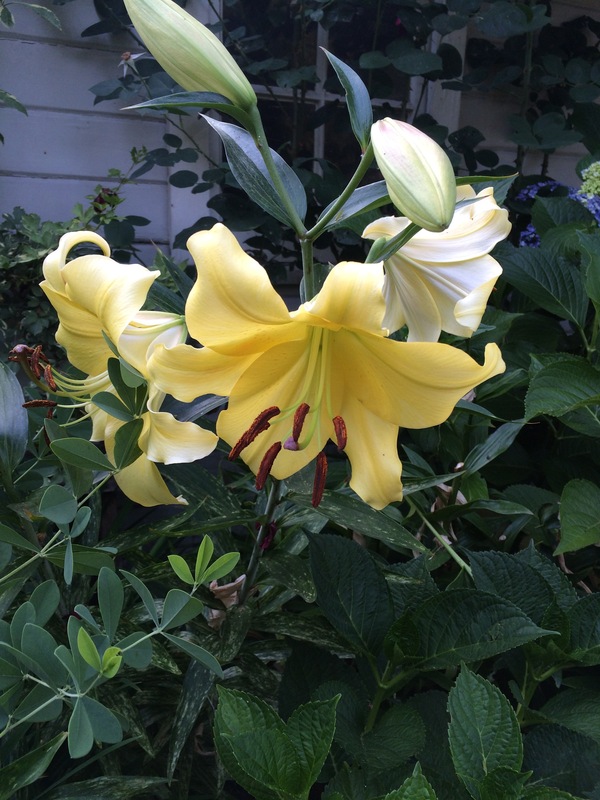 It’s the fragrance I love and when we have a normal summer and the weather is cool the Oriental lilies last a long time and make the whole backyard smell sweet. I don’t remember this one in her garden but I know Nanny would have loved it. 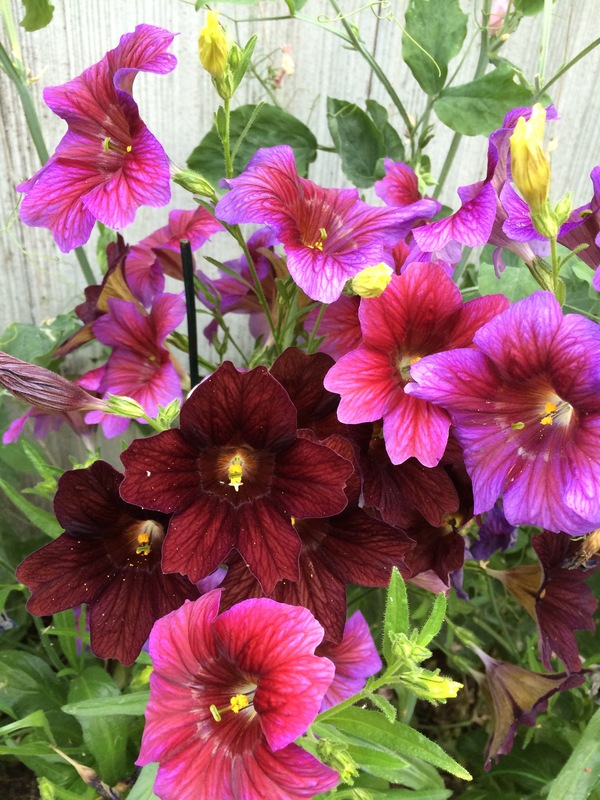 Salpiglossis comes in so many bright colors and the colorful veins make it so unusual. 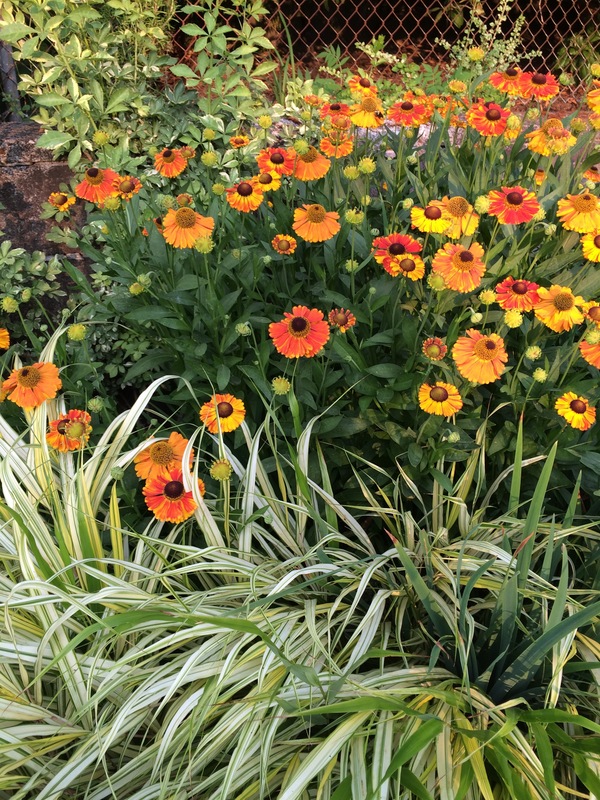 And rounding out a few July Gma plants…some Helenium and an ornamental grass (forgot the name).